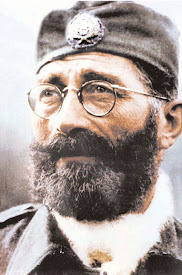 Today, Friday July 17, 2009, marks 63 years since the life of General Draza Mihailovich was taken. To date, there is still no gravesite. 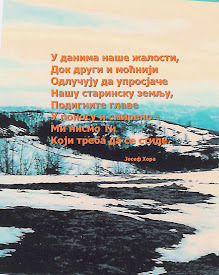 “Twenty years after the death of Draza Mihailovich he is undimmed in his glory as a defender of liberty against the Fascist terror, who defended it also against the Communist terror. He had no moment of weakness, nor of bitterness. I know no instance where he reproached those who were guilty of his betrayal. Twenty years ago I knew he was innocent of all charges against him, and since then I have had many further proofs of his innocence. His abandonment was a crime, and like all crimes it brought no real profit to the criminals. 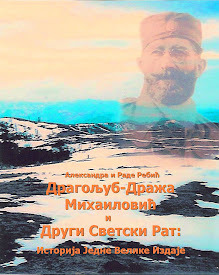 "The United States must insist on a fair and open trial for General Mihailovich, anti-Red Chetnik hero, now in the hands of the Communist regime of Marshal Tito in Yugoslavia if our future allies are to have any confidence in our pledged word as a nation. There is no real question about the fact that General Mihailovich took up arms against the German invaders of his country in April, 1941, at a time when Soviet Russia was an ally of National Socialist Germany. 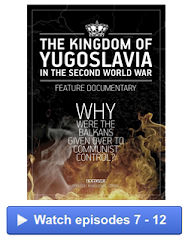 At that time the present dictator of Yugoslavia, Marshal Josip Broz, called Tito, was an expatriate, studying in Moscow as a faithful adherent of the Third International – the Comintern – which had adopted the alliance with Hitler’s Germany as an internal program of aggression for mutual benefit. 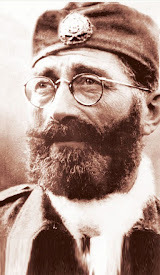 For two and one half years, during the darkest days of the struggle against Germany, Italy and Japan, Mihailovich, former minister of war in Yugoslavia, fought on our side. No question was raised as to his loyalty or valor while there was real doubt about the outcome of the war. 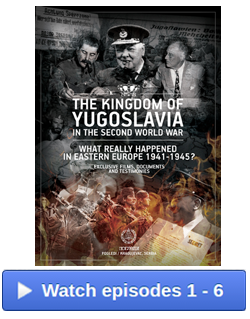 Only after our victory was seen as to be certain did other elements in Yugoslavia flock to the well-equipped and well-provisioned ranks of Tito, who then began to receive from the United States and Britain all that had been promised – but not delivered – to Mihailovich. This request has been categorically refused by Tito, whose supporters in the Kremlin now openly demand that all Tito’s claims be ratified without argument. 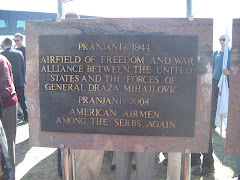 As an American, I bow my head in shame whenever I think of the terribly mistaken policy which led the Allied leaders in World War II to abandon General Draza Mihailovich and throw their support instead to the communist cohorts of Marshal Josip Broz Tito. It was an unbelievable aberration of policy and of justice perpetrated by the Allies. Mihailovich was the first insurgent in Europe. It was he who raised the flag of resistance to the Nazi occupier – and by his action he inspired the formation of resistance movements in all the subjugated countries. He resisted the Nazis at the time when the Soviet Union and the communists were still collaborating with them – and his early resistance, by slowing down the Nazi timetable, was probably responsible for preventing the fall of Moscow. 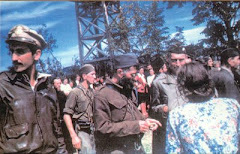 Today, no informed person takes seriously the communist charges that Mihailovich collaborated with the Germans, or the proceedings of the communist show trial in Belgrade which resulted in his execution. 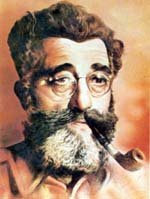 The communists made the nature of their injustice clear when they announced in advance of the trial, that Mihailovich would be executed after a 'fair' trial. And they also made it clear when they refused to take the evidence of the American officers who served with him or of the American airmen who were rescued by him. Colonel Robert H. McDowell, chief of the last American mission to General Mihailovich, and perhaps the most experienced intelligence officer to serve with either side in Yugoslavia during World War II, took the time after the War to go through the German intelligence files on Yugoslavia. Not only did he find no evidence that Mihailovich collaborated with the Nazis, but he found numerous statements establishing that Hitler feared the Mihailovich movement far more than he feared the Tito movement. The communists also feared Mihailovich more than they did any other man. And that is why, when they executed him, they disposed of his shattered body in a secret burial place, so that those who followed him and revered him would not be able to come at night to drop tears and flowers on his grave and tenderly offer a few words of prayer in gratitude to General Mihailovich for his heroism and sacrifice. 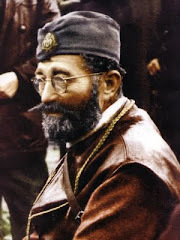 But despite all of the abuse and all the precautions of the communists, the truth about Mihailovich – now grown to the proportions of a legend – still persists among the Serbian people. Evidence of this is the remarkable article on Mihailovich which Mihajlo Mihajlov wrote for The New Leader, just before Tito’s courts sentenced him to seven years of hard labor in early March of this year. I think that it is fitting that we in the free world who are aware of the truth should also do everything in our power to set the record straight and to bring about the ultimate vindication before the bar of history – of one of the noblest figures of World War II. Draza Mihailovich, in addition to being an outstanding soldier and a great national leader, was a man who stood for everything that we in America believe in. He was a true believer in the rights enshrined in our own Declaration of Independence – the right to think and speak and pray in accordance with one’s own religious, political, economic and social beliefs, without government restraint or repression. 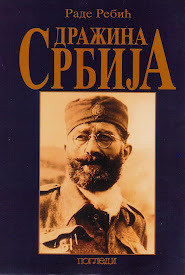 Beyond this, there is still a larger debt which the free world owes to the memory of General Draza Mihailovich. It is my hope that this debt will some day be replayed in full through the liberation of his people from communist tyranny. On Thanksgiving Eve, three Americans standing in a tiny village high in the Serbian mountains, saw a huge fiery “A” come into being. Then another, and one after the other fires appeared until eleven peaks were outlined.